8x10 film negative originally from the Wyland Stanley Collection. San Francisco circa 1925. 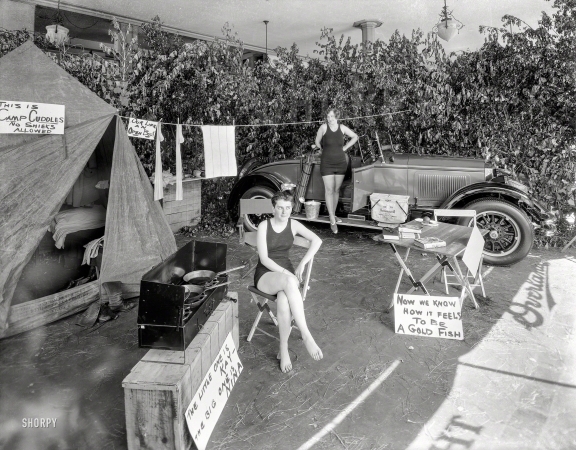 "Swimsuit girls camping in dealer window with Willys-Knight auto."